You’d have to be living under a rock to not know that Cameron Mackintosh’s incredible ‘Les Miserables’ has embarked on a huge UK and Ireland Tour; opening at the Leicester Curve in December 2018. As the company settle into their third venue, the current production has played to numerous sold out theatres, smashing a consistent stream of five star reviews. 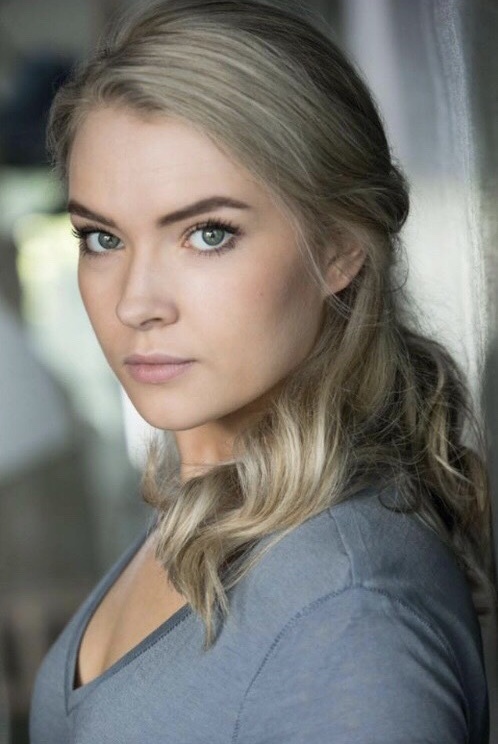 At it’s most recent ‘pitstop’ in Edinburgh, Backstagepass.biz caught up with local star Megan Gardiner who is in the ensemble of the smash hit production. We asked her all the ins and outs of life on the road in the world’s’ longest running musical! Thank you for catching up with us, Megan! And congratulations on landing such an iconic contract! Tell us a bit about your background and how you got into Musical Theatre? Thank you! It’s been incredible so far – I feel so privileged to call this a job as it really is the dream show for any actor. I’ve always loved musical theatre so it was no surprise to anyone that I wanted to pursue a vocational course in it when I left school. I went to the MGA Academy of Performing Arts here in Edinburgh and was a student there for three years, graduating in 2017. I was lucky enough to secure an agent after Showcase and it all took off from there. Prior to Les Miserables, I was fortunate enough to be in The Wizard of Oz at Cork Opera House where I covered the role of Dorothy, so I really have been incredibly lucky. I pinch myself every day as it’s a tough industry and I feel very blessed to be in the position I am! This is the third stop on the tour having already played Leicester and Dublin. How has it all been going so far? The first three venues have been a blast so far! It’s allowed us to properly get to know the show and create a routine. As an ensemble, we play multiple roles within the narrative so it’s been a joy to explore such different sides of each individual character. I am also second cover Cosette which is a wonderful responsibility to have in this gem of a production! Go on, tell us. What’s the best thing about being ‘on the road’? The best thing about being ‘on the road’ would have to be the family vibe that we have created within the cast. We have established life-long friendships and are incredibly supportive of one another. To share the experience of being in such an iconic show is a dream. How does the current touring revival differ from the West End counterpart? The touring production is the Broadway version of the show so it’s very different from the spectacle in the West End. For starters, we don’t have the revolve that the West End production does! That said, the Broadway adaption has additional features including the gorgeous projections and other such imagery so it really is a revamped production for the 21st Century. We know you won’t be able to give too much away, but give us a feel for the audition process! Hahaha! The audition process was quite long - I had about 5 rounds in total but each recall was even more exciting than the last. Our initial audition required us to sing a piece of our own choosing so I sang ‘Home’ from Maury Yeston’s Phantom which is a gorgeous legit soprano number. Who would you consider your biggest inspiration in theatre? I have always looked up to Kelli O’Harra. She is a phenomenal actress and singer! It would have to be the wedding scene! We get to come on in bright colours and play completely different characters to the rest of the show. Plus, I love a waltz! Do you have any theatre superstitions or rituals? Other than Edinburgh, what tour venue are you most looking forward to and why? Edinburgh is incredible as I’m on home soil and I love being able to bring this wonderful production to my friends and family. However, I am also really excited for Newcastle! We are there for 8 weeks and it’s my birthday during the run so there will be much to celebrate! You mention Les Mis being a dream show. What are your other dream roles? And finally, what would your advice be to our readers who are aspiring to follow in your footsteps? My advice would be to NEVER give up. The year you give up could be your year. If you feel so strongly about your dream, don’t let anyone tell you, you can’t or shouldn’t. Focus on where you want to be and don’t ever let that go! There you have it – top advice from a local star! Backstagepass.biz are hugely grateful to Megan for giving us her time in between shows and wish her all the best as the tour continues. Remember to catch Megan and the cast of Les Miserables at the Edinburgh Festival Theatre until Saturday 16th February 2019. If you missed your chance to secure the hottest ticket in town, the production will next play at the Manchester Palace Theatre – we suggest you beg, borrow or steal a ticket! You don’t want to miss this theatrical phenomenon!